You are only authorized to use Tax-Rates.org (regardless of whether your access or use is intended) if you agree to abide by all applicable laws and to this Agreement. Please read this Agreement carefully and save it. If you do not agree with it, you should leave the Tax-Rates.org Website and discontinue use of the Tax-Rates.org Services immediately. By using the Tax-Rates.org Services, you acknowledge your acceptance of this Agreement in its entirety. Tax-Rates.org cannot replace a licensed tax professional or accountant, and we can make no claims as to the accuracy of the data and tools we provide. The information provided by Tax-Rates.org is not intended as professional advice, and you understand that any information or advice provided by the Tax-Rates.org is for use solely at your own risk and without liability or warranty of any kind. We may provide organic or advertiser's links to content on external web sites that are not controlled or influenced by Tax-Rates.org. We cannot be held responsible for any of the content or information contained on these external sites, and we do not necessarily endorse these sites or the views they present. All original material on the website is copyrighted by Tax-Rates.org unless explicitly stated otherwise. You agree that you will not copy, retransmit, or modify any of the content provided by the website without obtaining explicit permission from Tax-Rates.org. Permissions can be obtained by contacting us directly. If you believe information on Tax-Rates.org is in violation of a copyright you hold, please contact us directly. Any confirmed infringing material will be removed as soon as possible. Web Analytics and Tracking - Tax-Rates.org uses web analytics to track anonymous use data including (but not limited to) IP address, browser information, usage history, etc. No personally identifiable information is collected. We may share this aggregate, anonymized data with third party partners, or when required by law. Calculators and Tools - Some of our calculators or tools may cache results on the server to provide faster fulfillment. These cached results are not connected to your IP address or any other personal information, and will be deleted automatically and never shared with any third party, for any reason. We may also collect aggregate results from some of our calculators, including the use of different features, to help us improve them in the future. Registration for Services - We may collect personally identifiable information from you during the process of registering for services provided by Tax-Rates.org. This information will be used for processing your request for services, and may be shared with trusted third parties in order to best provide you with the information or services requested. 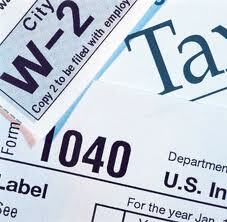 Mailing Lists - Tax-Rates.org offers opt-in mailing lists to provide information about tax deadlines, tax tips, and more. Registering for these emails requires you to explicitly opt-in by entering and confirming your email. You can opt-out of receiving these emails at any time with one click, and we will never share your email with any third party. Tax-Rates.org may use the information collected from you as described above for a variety of purposes, including improving our website and contacting you in reference to the products or services you explicitly registered for. Tax-Rates.org may disclose aggregate, anonymous summaries of personal data to third parties. Personally identifiable information may also be released as required by applicable law to qualified law enforcement. In the event that the ownership or structure of Tax-Rates.org changes in the future, any personal information collected may be exchanged with the rest of the Tax-Rates.org Data. This policy may be changed at any time without notice, so please check to make sure you are aware of the latest version. If you have any questions or concerns, we'd love to hear from you - contact us now.